Disney always has something new and fresh in the works. They are constantly revamping and imagining new attractions and shows to bring to their parks. It’s what keeps us going back over and over again. Even though I travel to Disney World frequently, I feel like there is always something new to see on each trip since Disney is so hard at work bringing us new attractions. Epcot has quite a few things under works and it may just help bring in more families. 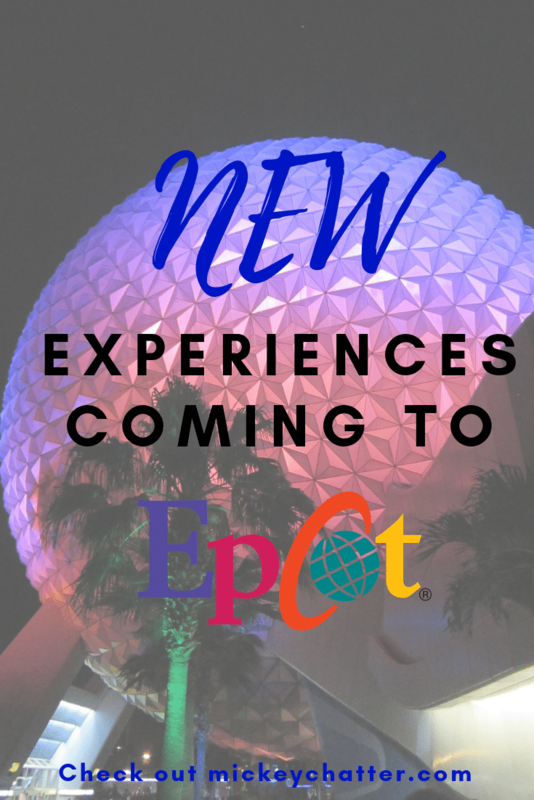 Epcot is usually seen as the “adult” park (which I disagree with), but some of the new attractions coming to Epcot may have parents reconsider putting this park on their to-do list. 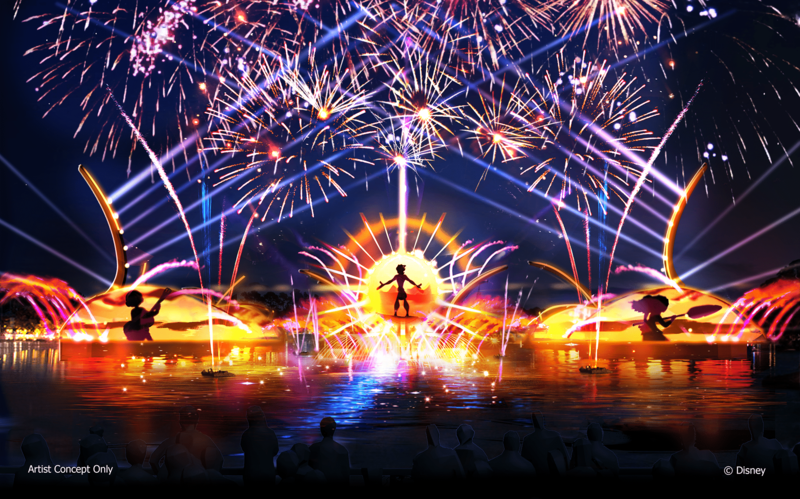 “Illuminations: Reflections of Earth” is the current fireworks show at Epcot and has been around since 1999. It will be coming to an end at the end of Summer 2019 and making way for a new show. The new nighttime show will be called “A Celebration of Disney Music”. The concept of the show is to celebrate how Disney music inspires people around the globe. The show will feature large floating set pieces, custom-built LED panels, kites with special effects, choreographed moving fountains, lights, pyrotechnics, and lasers. While still focusing on the global aspect, since it is located in World Showcase, it’s nice to see that the show also incorporates the Disney aspect. This show is set to debut in 2020. When Illuminations ends, they will have a temporary show to fill the gap. Between Fall 2019 and 2020, they will be showing “Epcot Forever”, which will feature classic Epcot music. Disney is currently under construction with Epcot’s first roller coaster. Themed to Guardians of the Galaxy, this ride replaces what used to be Ellen’s Universe of Energy and is set to open in 2021. Disney has said that this ride will be one of the world’s longest enclosed roller coasters, and it sounds like they are designing something really neat. The ride will take you on a story and the ride vehicle will rotate. Instead of always facing forward, like in a classic roller coaster ride, the vehicle will turn around to immerse you in the story based on what is happening in the ride. It sure does sound like this ride will deliver high thrills! While they have originally announced that this ride will open in 2021, it seems like they may be ahead of schedule on this one and a 2020 opening date may be more likely. Stay tuned! Disney recently announced that they are planning to add a new Beauty & the Beast Singalong show to the France pavilion in Epcot. It sounds like it would be very similar to the Frozen show in Hollywood Studios, except it would revolve around the music from Beauty & the Beast. They have not yet announced a set date for the new show. Disney is planning a new type of restaurant in Epcot that will allow you to dine in space. Located between Mission: SPACE and Test Track, you will be able to dine while looking out at simulated views of space while eating in a spaceship. Not a lot of details have been released yet, but the concept sounds really exciting. I can’t wait until they release a sneak peek of the menu. Expect this new restaurant to open sometime in late 2019 or early 2020. Epcot will soon be getting a new form of transportation for certain resort guests. 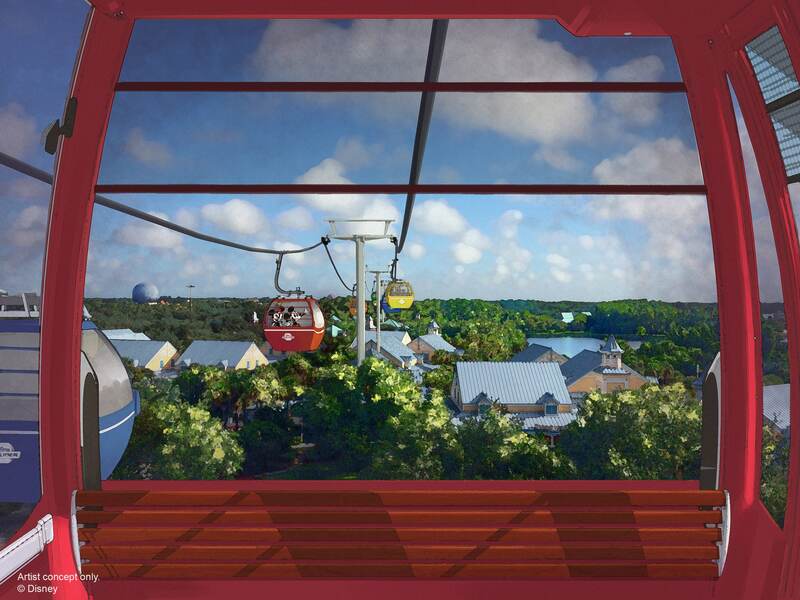 The Disney Skyliner is a gondola system that will connect guests from Caribbean Beach, the new Riviera DVC resort, Pop Century and Art of Animation to both Epcot and Hollywood Studios. The arrival station for Epcot will be located near the International Gateway entrance in World Showcase. The Disney Skyliner is set to open in Fall 2019. It has been rumoured for years that Disney is thinking of adding another pavilion to the World Showcase. There are certain areas where there is space, so many have been speculating if they will add another country. Disney has not commented or confirmed anything, but with all the recent activity of new changes coming, I wouldn’t be surprised if this is something they announce in the next year. Which country would you like to see added to the World Showcase? With so many changes coming, Epcot will have so much more to offer by 2021. With all the amazing festivals that they offer annually, I can’t even imagine what the crowds will be like once all these new attractions open. It’s so exciting! 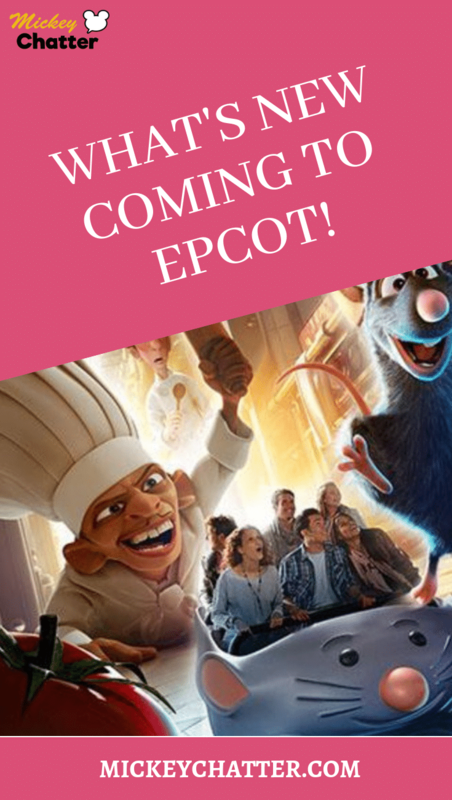 What are you most looking forward to at Epcot? Let us know in the comments below!